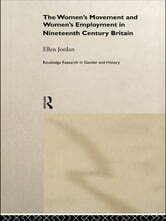 In the first half of the nineteenth century the main employments open to young women in Britain were in teaching, dressmaking, textile manufacture and domestic service. After 1850, however, young women began to enter previously all-male areas like medicine, pharmacy, librarianship, the civil service, clerical work and hairdressing, or areas previously restricted to older women like nursing, retail work and primary school teaching. This book examines the reasons for this change. 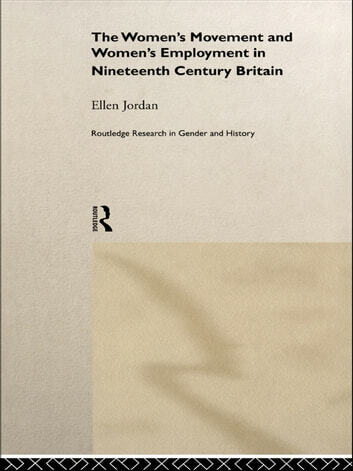 The author argues that the way femininity was defined in the first half of the century blinded employers in the new industries to the suitability of young female labour. This definition of femininity was, however, contested by certain women who argued that it not only denied women the full use of their talents but placed many of them in situations of economic insecurity. This was a particular concern of the Womens Movement in its early decades and their first response was a redefinition of feminity and the promotion of academic education for girls. The author demonstrates that as a result of these efforts, employers in the areas targeted began to see the advantages of employing young women, and young women were persuaded that working outside the home would not endanger their femininity. A Fair Day’s Wage for a Fair Day’s Work?